Searching garbage dumps or remote wooded areas is not a new exercise for police when they are looking for the remains of a murder victim. It has been done before both here in Winnipeg and in other jurisdictions. The reasons for mounting such searches are simple. In homicide cases it is more likely that a conviction can be obtained if the victim’s remains are located. The Christine Jack case is proof of that. Secondly, a failure to locate a homicide victim’s remains is hard on the victim’s family. Without a body there can never be a true sense of closure. For those reasons police should make every reasonable attempt to locate victim’s remains in homicide cases. 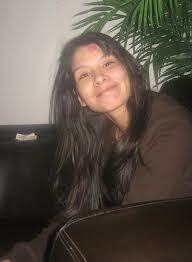 The Tanya Nepinak case serves to illustrate what happens when police allow non-operational considerations to cloud their judgment. What is at issue in the Tanya Nepinak case is how police went about determining if a search should be conducted, and if so, the area in which where the search should be concentrated. Normally when police consider conducting a search for a body in a garbage dump such as the Brady Road Landfill site, it is because they have information either from an accused or witnesses that a body was placed in a dumpster and dumped at a specific location. As a rule if the decision is made to conduct such a search, police have some idea of time frame as well as the location within the landfill where disposal of the body took place. Without such points of reference a search becomes not only meaningless in terms of the probability of success but also prohibitively expensive. It would appear that at a certain point during the investigation the police service had such points of reference in terms of time frame and location and announced that a search would be conducted. Then apparently new information came to light which muddied the waters. It’s then that the Winnipeg Police Service took leave of its senses and abandoned all rational thought and adherence to scientific and investigative principles. Instead of explaining to the victim’s family and the public what they were faced with and calling off the search, they attempted a face-saving exercise based on their “relationship building” credo. Not being prepared to deal with the victim’s family and tell them that a search was useless they attempted a compromise: having an aboriginal elder visit the site, conduct a ceremony, and identify an area to be searched. The subsequent search of a very small area was not a sound operational decision. The actual search was a token search, an act of going through the motions in the hope that the victim’s family and aboriginal leaders would be mollified. In the end police searched a very small area, without success. Upon the conclusion of the token search the victim’s family was not satisfied citing concerns that the elder who identified the search area did not represent the family and that the area identified by the family had not been searched. We are now left to wonder if the direction of future homicide investigations conducted by the Winnipeg Police Service will be based on the dictates of aboriginal elders, the musings of soothsayers and fortune tellers or will police be guided by the results of their investigation. What do police tell the next victim’s family that asks police to undertake a search of a particular area identified by their chosen elder or religious advisor? Building relationships with the aboriginal and other minority communities is a laudable goal but not one that should be allowed to supersede operational realities and the facts as they present themselves in a homicide case. My advice to the police service is this: cut your losses, and come clean. Admit a flawed decision was made. Avoid creating a precedent that could haunt the Police Service for years to come. Defending a flawed decision reflects poorly on the organization and damages its credibility. Have you ever wondered what the fine amounts are for breaches of Provincial Statutes and how the fines are set? They are set by the province and published in the form of regulations. The Regulations create ‘fine categories’ and each category has a money amount attached to it. This simplifies things for Judges when they assess fines. For example: there are offences under different Provincial Statutes such as the Highway Traffic Act and the Liquor Control Act that fall under the same category for fine purposes. Generally speaking Categories A to F deal with offences committed by individuals while Categories G to J deal with offences committed by business owners or corporations. The Province of Manitoba recently published the amended Summary Conviction Act Regulation that lays out fines for offences against Provincial Statutes. Table 1 (below) shows the 10 offence categories with category A offences being the least serious and Category J offences being the most serious. The table shows that the actual base fines range between $37.00 for Category A offences all the way up to $1467.00 for Category J offences. That is just the basic fine though. To that you must add the various surcharges like court costs (45% of the base fine), the Victim Service Surcharge (20% of the base fine), and the Justice Services Surcharge (a flat rate of $50.00 per offence). Once all the surcharges are added the fines persons convicted must pay are $110.00 for Category A offences and $2470.00 for Category J offences. The table also shows how the fine revenue is broken down between the Province and the City. As indicated for the offences with lower fines, the Province takes a bigger cut and as the fines increase the City’s cut increases. Source: Table 1 was constructed with information obtained from the Province of Manitoba, and the Winnipeg Police Service. For clarity and ease of reference the fine amounts are rounded to the nearest dollar and the split between the Province and the City to the nearest %. Unlike other offences the fines for speeding offences are dynamic, i.e. they increase as the speed goes up. The basic fine for speeding is $7.70 per kilometre over the posted speed limit. Tickets are not normally issued until the threshold of 10 KPH over the speed limit is reached. Speeding offences that are committed in construction zones (when workers are present) are subject to a further $5.00 per kilometre surcharge for a total of $12.70 for each kilometre per hour over the posted speed limit. Table 2 shows the fine breakdown based on 5 specific speeds. Note: All numbers rounded up to nearest dollar/per centage. 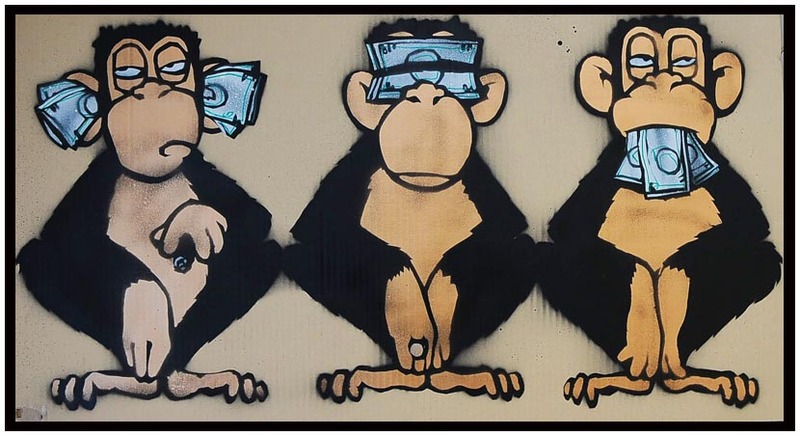 I was surprised by the number of emails and phone calls I received after posting the Three Wise Monkeys cartoon yesterday. Winnipegers are quite willing to guess at the “Who Am I” questions. There is a high level of agreement as to who the best candidates are at City Hall for “I see nothing” and “I hear nothing”. I also ran across another image that attempts to answer the question of what causes poor hearing, eye sight and the inability to speak within bureaucracies. It is very revealing. On a more serious note (if that is possible), it caused me to ponder the predicament that “I cannot speak” (aka the city employee), is in. The province has whistle blower legislation in the form of The Public Interest Disclosure (Whistle Blower Protection) Act to protect provincial employees who in good faith bring forward instances of wrong doing. The City of Winnipeg has not enacted similar legislation at the municipal level, essentially leaving city employees who wish to expose possible wrong doing, frankly, exposed. In July of 2006 the CAO of the City of Winnipeg approved the Fraud, Theft or Related Irregularities Standard which applies to all civic employees. This standard was introduced in recognition that fraud, theft and unethical behavior is an issue within municipal administrations. The Standard requires that an employee who becomes aware of any incidents of fraud or a violation of the code of conduct must report such incidents to their manager or supervisor. What is missing of course is protection for employees who do so. In September of 2010 the City of Winnipeg Audit Department issued the Fraud and Waste Hotline Research Study. One important difference between Winnipeg and the other cited cities is that the other cities have instituted a Fraud and Waste Hotline which allows city employees to make their reports anonymously to a third party and not directly to their supervisor or manager. The Audit report recommended that Winnipeg establish a Fraud and Waste Hotline managed by the Audit Department. According to the City the process to create a Fraud and Waste Hotline is currently underway. Until such time as the City introduces meaningful legislation to protect honest employees who are prepared to put it on the line, “irregularities” will continue to flourish at City Hall and throughout the civic service. Why? Because they can. Homicide and Murder: Is There a Difference? During the course of the summer and fall I received a number of email requests and personal inquiries asking for explanations or clarification on specific sections of the Criminal Code of Canada, legal terminology and police policy issues. I will be running posts from time to time that address some of those questions brought forward by readers. Today’s will be the first such post. Question: Quite often we hear people using the terms ‘murder’ and ‘homicide’ interchangeably. Do they mean the same thing? Answer: The short answer is no. The longer answer is this: according to the Criminal Code of Canada (CCC) “a person commits homicide when, directly or indirectly, by any means, he causes the death of a human being”. Homicides are categorized as either culpable, meaning blameworthy, or not culpable, meaning not blameworthy. Non culpable homicide is not an offence. Examples of non culpable homicide include: persons acting in self-defence or a police officer using lethal force in a manner prescribed by law. Culpable homicide is categorized as either murder, manslaughter or infanticide. The Criminal Code of Canada stipulates four circumstances that constitute culpable homicide. They are, causing the death of a human being : (a) by means of an unlawful act; (b) by criminal negligence; (c) by causing that human being, by threats or fear of violence or by deception, to do anything that causes his death; or (d) by wilfully frightening that human being, in the case of a child or sick person. In order for a person to be charged with murder, manslaughter or infanticide there must first be a homicide, but the homicide must also be culpable or blameworthy. Homicide that is not culpable is not an offence.